It’s not only important to take care to choose the modern exterior part of the house. Some other important thing is that you need to take care for the lighting fixtures too, you need to find a suitable place for your car and many other things that we will mention here in this post. I hope that you will find some time, you will take a deep breath and you will see the following amazing house exteriors. The lighting of exterior is important to be protected you and your family. The other important thing is to have suitable place for garage that will help you to drive the car in easy way and to keep it safe. 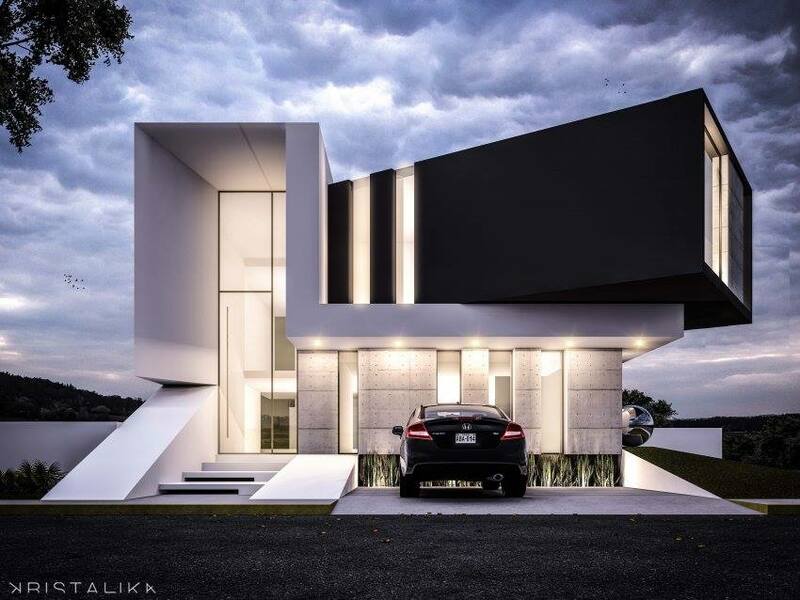 Today, modern architecture says that there isn’t a house with simple and ordinary design but something unique that looks like this! Take a look in the photo now and admire the decor! It’s great when you have a chance to make a visualization to the future home and interior where you will spend your life. but also it’s great when you will have a chance to check how will look the exterior part of the house. 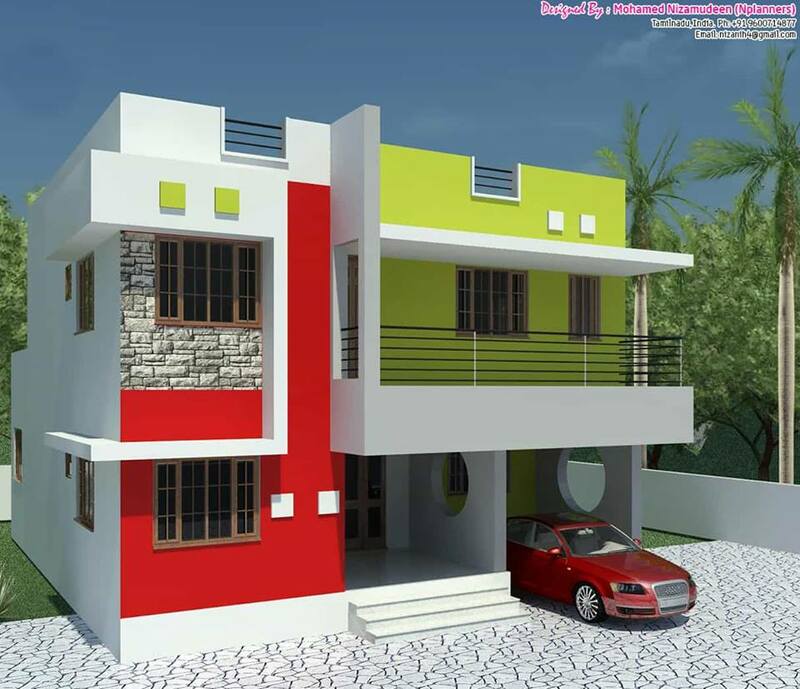 In this photo, you can see one amazing 3D house plan. 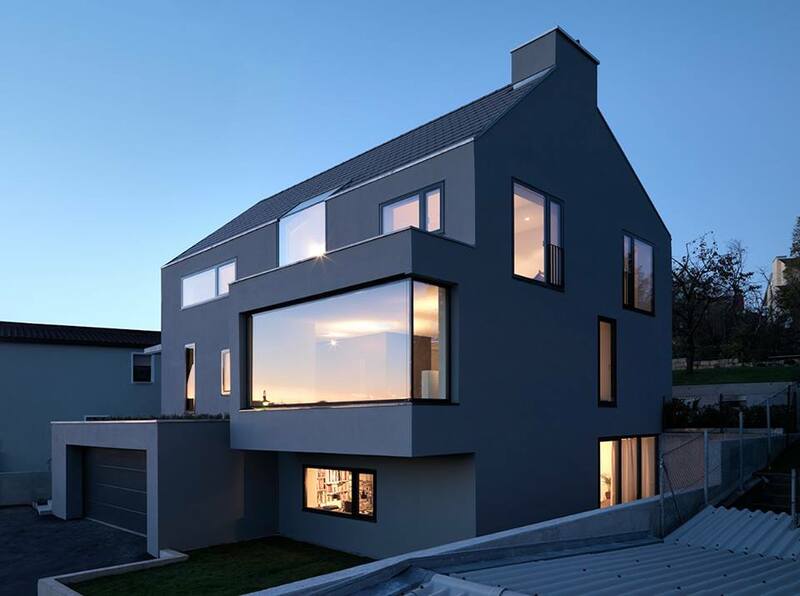 This photo is an example of how one modern house can look. As you can see, there is a combination of stacked bricks walls and the door for the garage place is wooden. The front yard has a place for planting flower and plants, place for creating a tiny garden. 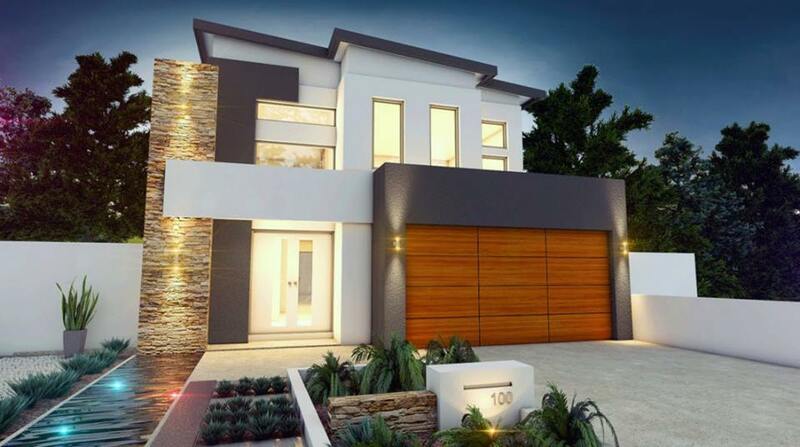 I invite you to see the photo and to decide if your future house can look like this. Of course, if you can afford it. In the photo here you can also see good example of modern architecture. Take a look and think about how interior design and exterior design can’t be separated. So, if you have chosen modern design for the interior part of the house, choose also modern design for the exterior part and have complete house decoration. 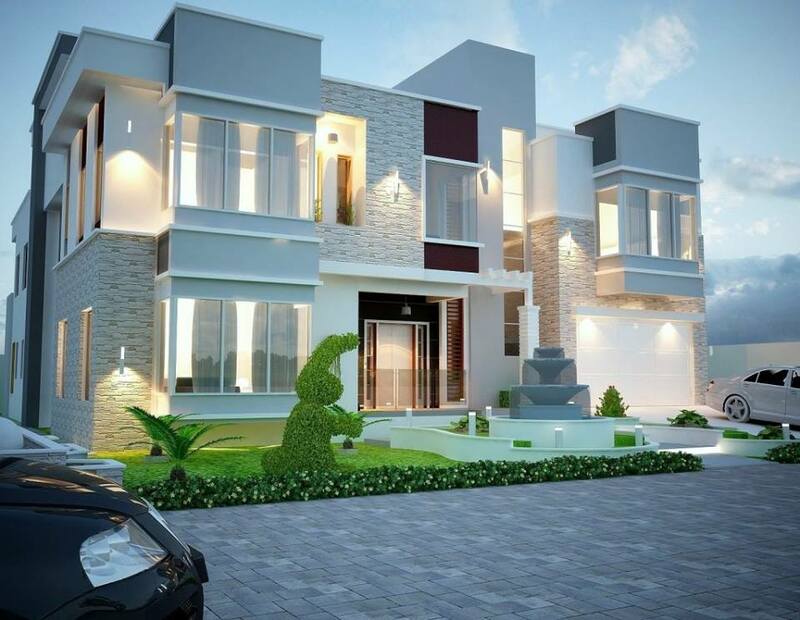 Previously, we have seen the design of the exterior part of the house for large houses. 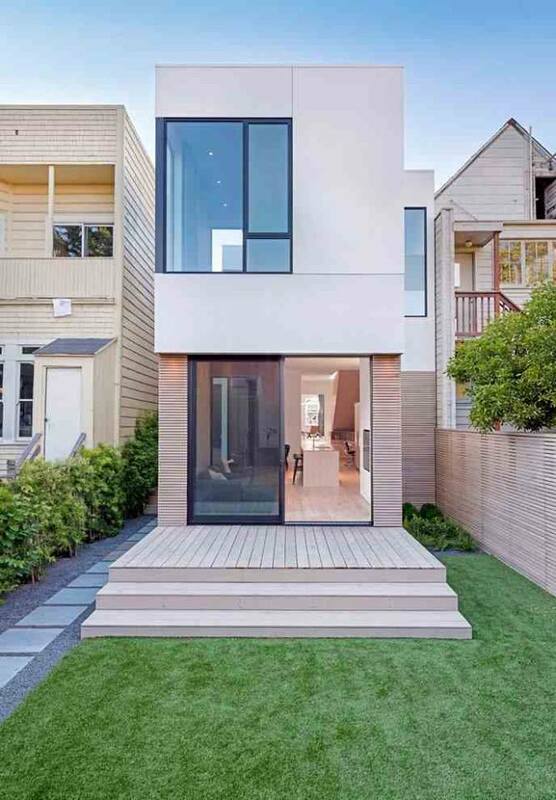 Now, we will end this post with a tiny house but height and also with modern design. Even though the house looks tiny, actually the interior part of the house gives enough place for each room. but, the interior design we will show you in another post so you just need to keep following us in future! Now, it’s time to say GOODBYE to you and to thank you for your attention and time! READ ABOUT: Duplex home decor ideas for modern people with modern homes.